The Final Four field is set, and this is a very interesting group of teams. The traditional “blue blood” programs have been eliminated, and this Final Four will feature two teams playing in their first ever semifinal game. Let’s take a look at the current odds for winning the National Championship as well as a breakdown of each semifinal game. Virginia entered the 2019 NCAA Tournament with the third best odds to win it all, and are now the betting favorites. This shouldn’t be a huge surprise as Virginia is the lone number 1 seed remaining, and were near the top of the polls throughout the regular season. Michigan State comes into the Final Four with a ton of momentum after pulling off a massive upset over Duke. The Spartans were Big 10 regular season champions, and then won the Big 10 Tournament as well. They were a two seed in the East Region. Texas Tech came out of nowhere to make their first Final Four in school history. 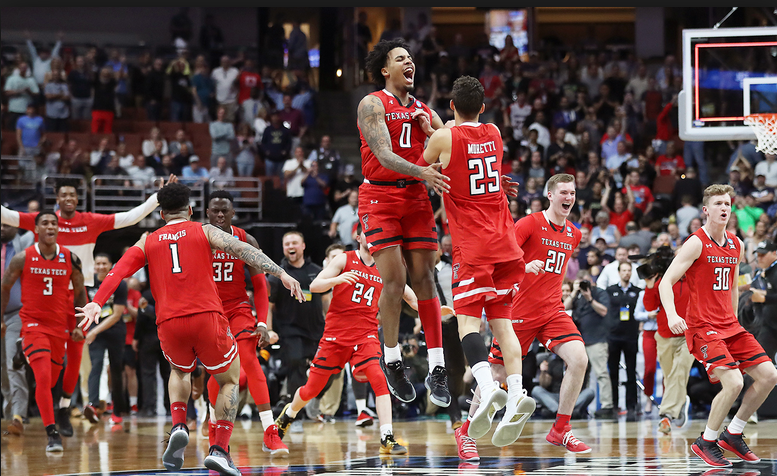 The Red Raiders were a three seed in the West region and stunned top-seeded Gonzaga in the Regional Final. Texas Tech is slightly behind Michigan State in terms of odds to win the whole thing. Auburn has the lowest odds to win the National Championship, but they have also been the most impressive team in the tournament. The Tigers will be playing Virginia in the first semi-final on Saturday night, and they will be playing without their best player, Chuma Okeke. This will be the most interesting game of the night as these two teams are extremely different. Auburn wants to play extremely fast and score a ton of points, while Virginia will look to slow the game down and win the game with their defense. Auburn has been making three-point shots at an alarming rate in the NCAA Tournament, and Virginia leads the entire country in points allowed per game. Whichever team is able to establish their identity in this game will likely be the winner. Auburn guards Bryce Brown and Jared Harper lead the way for the Tigers and are averaging a combined 30 points per game. The Tigers don’t have much interior scoring, but that doesn’t matter when you shoot close to 40 percent from the three-point line as a team. 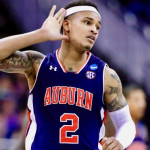 This will be the best defense that Auburn has faced so far in the tournament, and that might slow them down. Virginia has a trio of guards in De’Andre Hunter, Kyle Guy, and Ty Jerome that do almost everything for the Cavaliers. They score close to 46 points combined, and they can all really shoot it. Virginia will still play their famous pack-line defense in this game, but they will get out and contest shots. The Pick: Virginia is the better team, but Auburn is just shooting it too well. Look for the Tigers to stay hot, and shoot their way to Monday night. Bet Auburn +5.5 in this game. This game will feature two teams that have a ton of toughness and plenty of depth. The Red Raiders are one of the best defensive teams in the country, but Michigan State isn’t too far behind them. Don’t expect a ton of points in this game between the Spartans and Red Raiders. Sophomore guard Jarrett Culver has been the main scoring option for Texas Tech this season, and he is a future NBA talent. The Spartans will do all they can to limit Culver, and Matt Mooney and Davide Moretti will need to make shots for the Red Raiders. Even though Texas Tech struggled to score throughout the season, they have found enough offense in the NCAA Tournament. Michigan State point guard Cassius Winston is averaging 19 points and 8 assists per game this season and is a 1st team All-American this season. Winston makes the Michigan State team go, but he has plenty of help. Kenny Goins and Nick Ward give the team some interior scoring, and the Spartans kill opponents on the glass. The Pick: Texas Tech has been on a remarkable run in this tournament, but Michigan State is just better. The Spartans are moving on to Monday night. Bet the Michigan State Spartans -2.5 over Texas Tech. Michigan State and Auburn should meet for the National Championship on Monday night, and this should be a terrific game. The Tigers can really shoot the basketball, but Michigan State has a huge edge in size and toughness. People will talk about the Auburn offense, but the Spartans can score the ball as well. Look for Tom Izzo to outcoach Bruce Pearl, and for Cassius Winston to lead his Spartans team to victory. 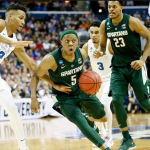 Pick the Michigan State Spartans to win the 2019 NCAA Championship.